Traditional Wedding Dress with Dramatic Hi-Low Skirt. 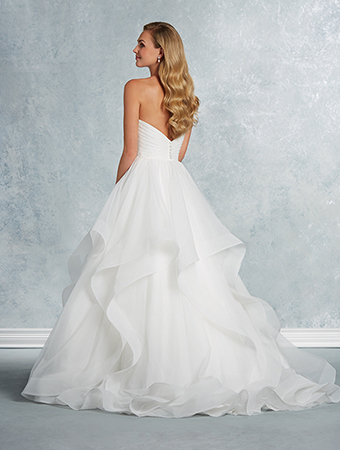 A dramatic hi-low tiered overlay with horsehair trim ruffles characterizes the ball gown skirt of this affordable wedding dress. 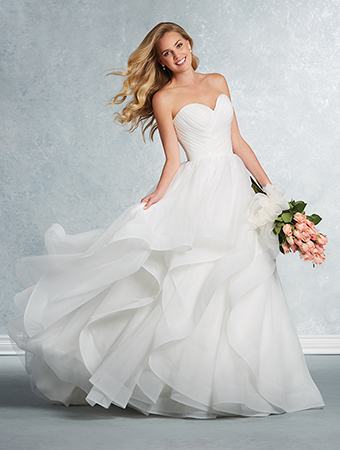 The strapless gown finishes with a chapel train.